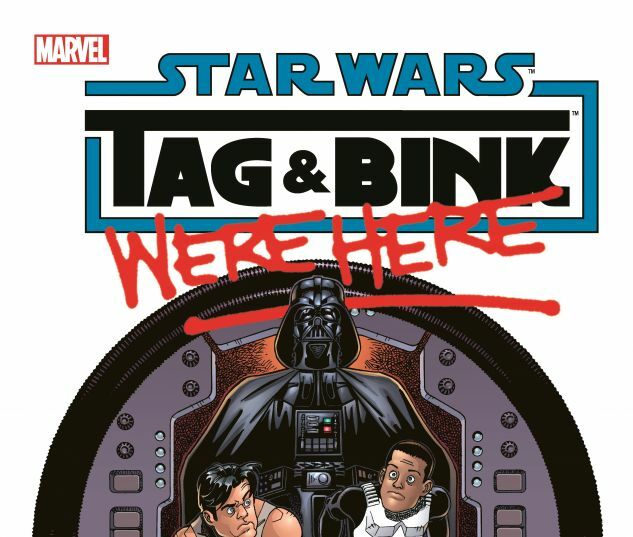 Collects Star Wars: Tag & Bink Are Dead #1-2, Star Wars: Tag & Bink Ii #1-2 And Material From Star Wars Tales #12. They’re the most important Star Wars characters you never knew existed — until now! Tag Greenley and Bink Otauna were on Leia’s ship carrying the Death Star plans — when Darth Vader changed their lives forever! But as their true roles in this epic saga are revealed, whose side are Tag and Bink on, anyway? The hapless duo’s fateful adventures will take them all the way from Tatooine to Cloud City to Endor — and bring them face-to-face with Lando Calrissian, Boba Fett and more! But every great tale has a prequel — so what were Tag and Bink up to when the Clone Wars began? Prepare to discover their uncanny origin! We have a bad feeling about this!